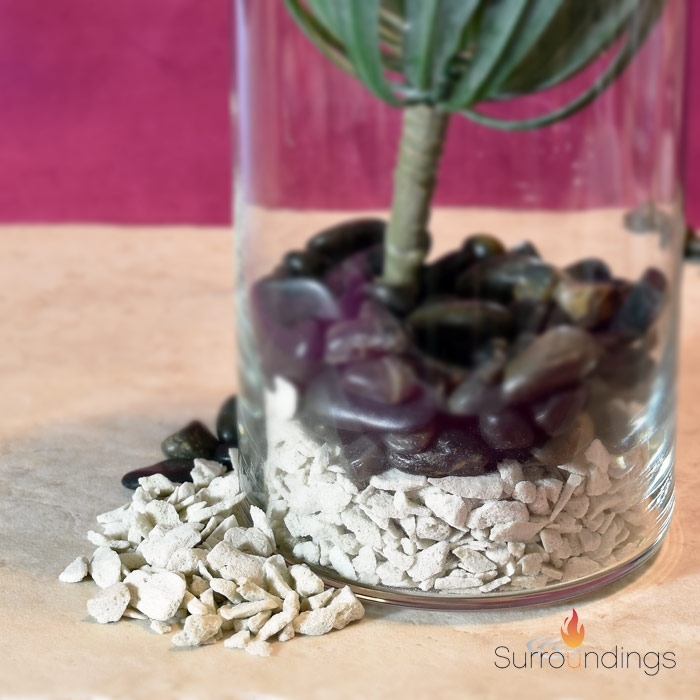 Hydro stones is the perfect medium for air plants. As air plants don't need a lot of water, they do need water to survive. 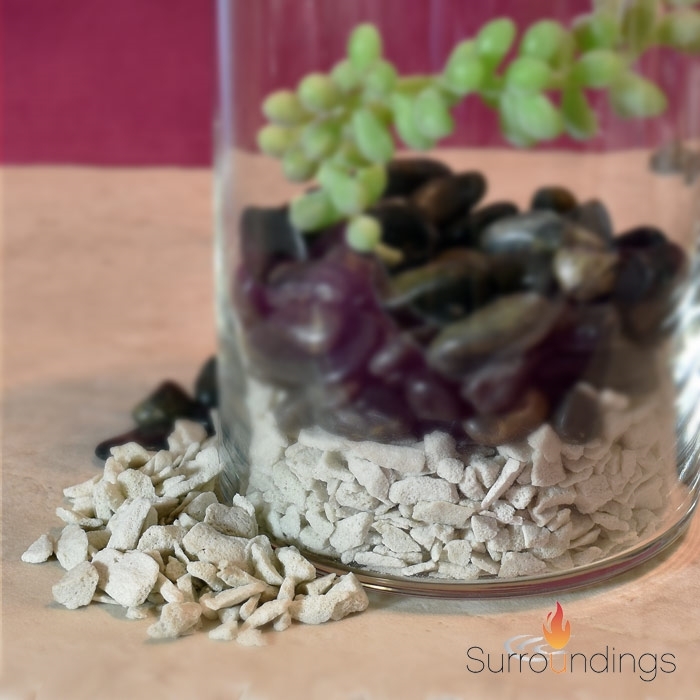 Stones will hold water and keep the air moist in between watering. Hydro stones helps to create optimal growing conditions in many applications because it holds moisture to maintain the perfect air and water balance. Also ideal for terrariums and hydroponic growing. Mix with dirt for natural aeration or layer at base of plants to prevent root rot. Made of 100% recycled products. Use stones in plant centerpieces for a natural look and performance. Amaranth Green Tail Spray, 26" Frosted Boxwood Orb, 5" Lemon or lime slices /3 Boxwood Orb 5"